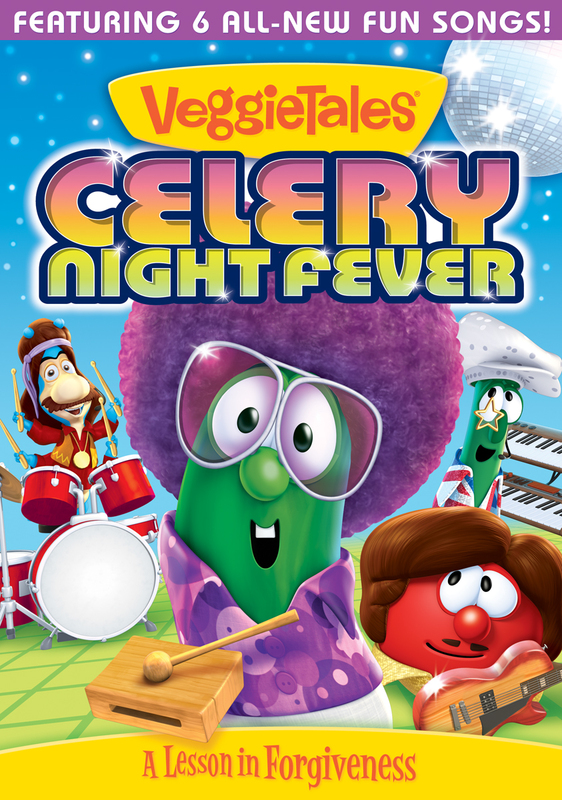 Put on your boogie-est shoes and get ready to dance with Celery Night Fever, featuring six all new Veggie-style, disco songs. Join the The Groovy Brothers — Lanny (Larry the Cucumber), Dennis (Bob the Tomato), Archie (Archibald Asparagus) and Kahlil (Kahlil) — as they work to help the kids in their town save a community park. Can these estranged band members and long-lost friends learn the power of forgiveness? 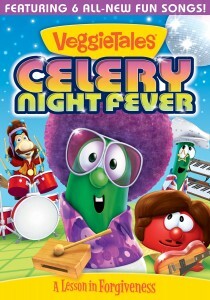 Celery Night Fever is schedule for release on August 5, 2014. This entry was posted by Christy on June 28, 2014 at 5:26 am, and is filed under Site News. Follow any responses to this post through RSS 2.0.You can leave a response or trackback from your own site.